Can You Afford Divorce During a Bad Economy? Is the rate of divorce decreasing because people can't afford divorce? Getting divorced is expensive, but there are ways to minimize the cost of divorce. The following article by attorney Heather Bendure discusses how the economy is affecting divorce rates and gives ideas on how to cut divorce expenses to make splitting up more affordable. The divorce rate right now is the lowest it's been since the early 1970s. At least one reason for the decline, according to some experts, is the nation's poor economy. More and more people are asking themselves - can I really afford a divorce right now? There is no magical equation that will give you an answer to that question. Much of it depends on your comfort zone. For some of my clients, getting a divorce is worth withdrawing money from retirement accounts, borrowing from family, carrying a balance on credit cards or making some lifestyle changes. Others are unwilling to file the paperwork until they have a certain amount of money in their savings account. No matter what, educating yourself on the expected costs of divorce is the only way to make an informed decision. There are all kinds of costs that some people who are divorcing will need to consider (Will your children need more day-care? Are there moving expenses you'll need to pay for? If you're planning on re-entering the workforce, do you need additional schooling? Do you or your children need a mental health professional to help you through this stressful time?). This article is meant to address the legal expenses involved in a divorce and to help you decide whether you can afford divorce. Every court requires the person filing a Complaint for Divorce to pay a filing fee. Most states charge more when there are children involved. Typically, it will run you between $150 and $200. Add at least $25 if you need a process server or officer to serve your spouse with the summons and complaint. Some states will waive the filing fee if you sign what's called an affidavit of indigency, and show that you can't afford the filing fee. Most attorneys will charge a retainer or engagement fee of $750 and up. This is a "down payment" on attorney fees that you pay up front, but the attorney will bill against the retainer until it's depleted. Once retained, attorneys charge anywhere from $100 - $500 an hour. Some may even offer a flat fee (but beware - do you trust this attorney to do everything necessary to protect your interest even though you'd be paying her or him the same amount to do the bare minimum?). The simplest case (no children, no property, no assets, and no disagreements) will take at least 5 attorney hours, usually more. Contested cases (cases where the parties don't agree on everything) can take up hundreds of attorney hours, depending on the complexity of the issues involved. Keep in mind that usually, no matter what your intentions, your divorce case is going to be more complicated than expected. I can't tell you how many of my clients start off by explaining to me that their divorce case is simple - that there's nothing to fight about and/or that the spouses have talked and think they can come to an agreement on everything. Sometimes that's true. More often, though, once we get into the details and start talking specifics, the parties realize that they're not in total agreement. When trying to calculate the cost of divorce, just like when you're calculating home renovations, expect that there will be some surprises and that things will be more expensive than you thought. In some complex cases, it might also be necessary to hire professionals - business evaluators, financial experts, appraisers or medical experts to be witnesses in a case. It's also possible that a judge will appoint a receiver if there are allegations of financial improprieties or a guardian ad litem if there are allegations that someone needs to be appointed to look after the best interest of the children. Like attorneys, other professionals' hourly rates vary, but expect to pay $100-$400 an hour for their time. Most divorce cases do not end in a trial. Typically, the parties can come to an agreement themselves or they agree to try mediation. Mediation is when a neutral third party, the mediator, guides and regulates structured discussion to facilitate reaching consensus on a disputed issue. Mediators are not judges, but are typically attorneys specially trained in negotiations. Mediation is usually more cost-effective than litigation. Most attorneys need less time to prepare for mediation than they do a trial, so you'll be paying less in attorney fees as well. If your case is mediated, you probably won't need to pay any expert witnesses, either. You will, however, have to pay the mediator. Typically, both parties pay a portion of the mediator's fee. Sometimes it's split 50/50, but if there's a big difference in income, the judge might order you to pay a different percentage. Mediators usually charge between $200 and $400 an hour. Expect to pay for at least 5 hours of a mediator's time. Is There Any Way to Minimize the Cost of Divorce? Any information you can get regarding bank accounts, annual pension reports, stocks, mortgages, credit card debt, etc., will eliminate the need for your attorney or staff member to collect the information. A letter or e-mail is an inexpensive way of keeping attorneys up to date on information they need to know about your case. They're usually less time-consuming than phone calls or conferences. Many times, your attorney's assistant can answer your non-legal questions (when's our next court date? Did my spouse answer interrogatories yet? What's the balance on my bill?). When appropriate, start with the assistant. Try to negotiate with your spouse on day-to-day issues such as who pays the car insurance or other bills, parenting time arrangements, etc. without involving your attorney. Every time your attorney is involved, it costs you money. Keep in mind that some attorneys are more respectful of their clients' financial concerns than others. Before hiring a divorce lawyer, ask her or him to talk to you about how you can reduce attorney fees. You should also review the retainer agreement carefully before signing it to make sure you understand the lawyer's billing practices. Too often, individuals begin their divorce without knowing much about the process at all. 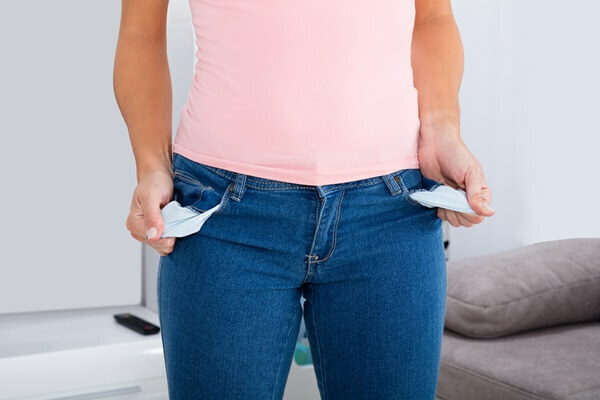 While the information presented can be scary and overwhelming, having a true understanding of the expenses associated with a divorce beforehand will allow you to decide whether you can afford to go through the divorce process. Return to the top of Can You Afford Divorce during a Bad Economy? © Heather Bendure, Esq. Heather is a family law attorney at Bendure & King and represents clients with all types of family law issues, including divorce, child support, child custody, legal separation, post-judgment issues and domestic violence. If you need more ideas on how to afford divorce the following articles will give you some tips. Is a Divorce Attorney Really Necessary? How Can I Afford Divorce?